Have you wondered before if there was a right way of building processes with a marketing automation platform like SalesAutopilot? If you want to be able to scale your marketing processes in the future without creating a complete mess in your account, this framework is absolutely a must have. Not only is this the framework we have developed for ourselves over many years of building marketing automation processes, this is the very framework our most successful clients use for automating their marketing processes. So go and read it now here, and waste no time building stuff the wrong way! Recently we received some questions about how you can set up an automated process that encourages people via email, SMS, and phone to take a desired action, and how you can stop communicating to them once they take the desired action. The example we use in the video is a gift card activation process, where we encourage our customers to take advantage of a gift card they received when they purchased from us. Click here or on the picture to watch this awesome case study! 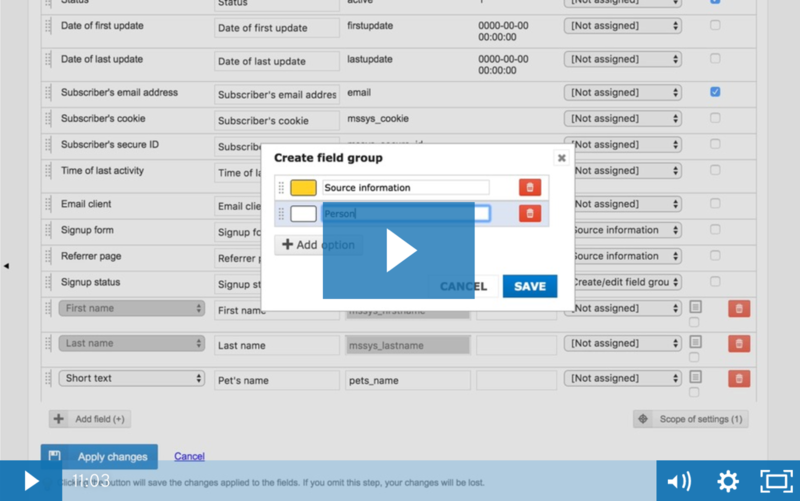 Have you been watching our latest video series on creating mailing lists? If not, it’s not too late to catch up on the first two videos. But if you have, we have good news for you! Here is our third and final video of the series. Watch this video to find out everything you need to know about the second page of the create list wizard! We have just posted our latest knowledge base entry on the Actions feature of SalesAutopilot. This entry will provide you with the technical know-how you need for automating your email marketing, your CRM, your eCommerce, or really anything you can think of. Go and check it out! In this new video we show you the exact steps to build your first newsletter system with SalesAutopilot. During the process you can get familiar with the basic functionality of the software and start to understand the four basic building blocks of it also. Create our thank you email / signup email. Enjoy! Even more importantly, do it! Like, NOW – by signing up for a free trial. LeadPages is a leading solution if you want to create high converting squeeze pages, opt-in pages, webinar registration pages, landing pages etc. in minutes. Since it is now integrated with SalesAutoPilot, you can funnel all your subscribers right into your SalesAutoPilot list, and start reaping the benefits that a highly converting opt-in page plus a highly converting sales process can give you. This is where you can familiarize yourself with LeadPages, and here’s how you can connect your LeadPages opt-in pages to SalesAutoPilot. Wrong username or password! Email address hasn't been verified! Don't have permission to SalesAutopilot! Just give us your username and we'll send you instructions to reset the password to your email address. No worries! Give us your email address and we'll email you your username. OK? We've sent an email with instructions on how to log in to your account. We've sent your username to the email address you've provided.